Did you know that the average garage door takes up about a third of the front of your home? This means, more likely than not, your garage door is the first thing people see when visiting or passing by. However, with a faulty, worn, or old garage door your home’s curb appeal is negatively impacted. A quality, new garage door, on the other hand, has the opportunity to enhance the curb appeal of your home and increase it’s overall value. There are many reasons to get a replacement garage door, especially if you have a broken garage door that isn’t operational. The additional space a garage offers can’t be utilized without a way to get in and out easily. If you are wondering whether or not a garage door replacement is a good investment, there are both practical and aesthetic reasons to update the look of your garage. 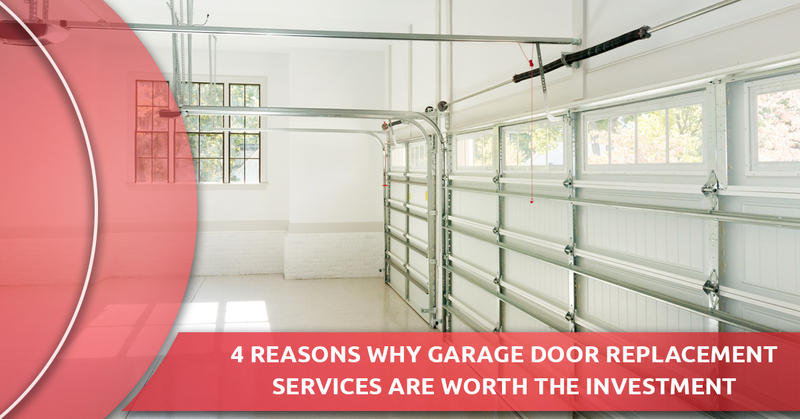 Let’s take a look at four good reasons why you should consider investing in a new garage door. Garage doors are fairly large, both in size and visual impact. An old, worn, or damaged garage door that is in disrepair can make your home look dated. By choosing a garage door replacement service that installs the most modern garage door solutions, replacing your garage door can transform the curb appeal of your home. Whether you want a steel, wooden, or fiberglass garage doors, a new garage door will certainly enhance the visual appeal of your home. Garage door replacements are one of the best ways to increase the value of a home. According to Remodeling Magazine, a new garage door installation offers the best return. It is not only affordable on the front end, but it offers 98 percent return on investment when factored into the resale value of the home. Unusable, worn, or broken garage doors deter prospective buyers away and suggest that there may be other issues with the home. A garage door that is new, aesthetically pleasing, and opens and closes with ease is a huge plus to house hunters! A broken garage door puts safety at risk. They often become unbalanced, which can lead to the garage door falling off its track. Additionally, sensor issues can increase the chances of damage to your vehicles and increase the danger to pets and children. A new garage door system will ensure that your garage has the latest safety features. Security should be one of the main priorities for your garage, especially if it attaches to your home. Burglaries often occur in homes with the least risk to the burglar, so if your house has signs of easy access, such as a broken garage door, you are more susceptible to having your possessions stolen. Updating your garage door will deter thieves from targeting your home as new garage doors are often more secure than older, faulty ones. Today, many of the garage doors from leading manufacturers actually have built-in security features. With stronger industrial materials, code pad openers, or improved locking systems, your garage is more secure and therefore is much more likely to keep your vehicles and other stored items safe. In Need of a Replacement Garage Door? If you have a faulty or broken garage door, the reasons to get a replacement garage door far outweigh the reasons not to. Updating your garage is a great investment and a wonderful way to enhance the curb appeal of your home, increase its value, and make it safer and securer. 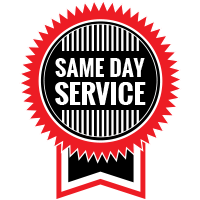 If you are in need of garage door replacement services, contact the team of garage door contractors at Garage Door Doctor. 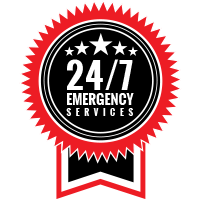 To receive a free estimate, contact us!